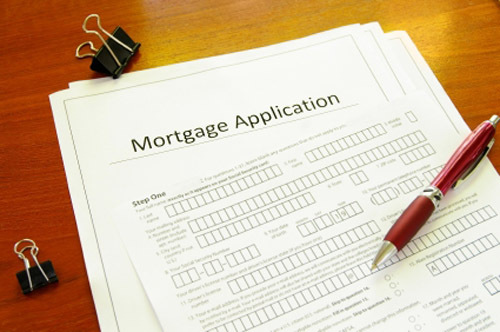 Home Loan Application: The step to get you inside the home buying doors. If you are in the market for a new place to call home, sooner than you realize, you will be confronted with the “dilemma:” Will it be cash or financed? I always salute those who have saved enough resources to buy their home without the need of attaining financing. However if the home you are buying will be your primary residence, you will be loosing your mortgage interest deduction (MID) – which during the life of the loan will be a value greater than the purchase price itself. That is the very reason I also counsel my buyers to finance their primary residence even if the purchase price is to the upwards of $1Mil. The law allows you this great tax break the and you should consider taking advantage of it. I have a rather lengthy but thorough explanation about the virtues of being careful with credit applications and the consequent effects on your credit scores. OK! That all said here is a very important piece of advice that you need to know and keep in mind. Each time that you apply for credit – does not matter how big or small, your FICO® score will go down a notch. On the other hand, when you are shopping for a home loan, you cannot just talk with one bank a settle there… How would you know that it is the best deal available? You should shop around and get the best rates and terms. A small fraction, even .25% means thousands of dollars in the life of the loan. Enough reasons for you should not to stop with the first and only one application. The answer is to make multiple home loan application during a short period of time. The credit bureaus have become sophisticated enough to recognize that you are not looking to buy multiple houses like, for instances, if you were to apply for credit in different department stores. At the end of this period, that can be three to six weeks – or even 8 weeks, albeit this would be pushing the edge of the envelop - you will have a few scenarios to choose from. Act as quick as possible and do not commit to any lender till you have all the facts in front of you. Compare and see what is going to be more advantageous for you. Home Loan Application And 620 Mid FICO® Score, as I discuss thoroughly on my page “Credit Scores,” is an index of your credit worthiness in a given time. That “index” is provided to the three major credit bureaus (Equifax®, Transunion® and Experian®) and each of them <em>give their on spin on it,</em> producing a different score for you, even though the data in both ends - on FICO and the bureaus - would pretty much be the same. Therefore, each bureau will give you a different score. So the middle score is the one all real estate lenders use to base their decision about your home loan application. TIP: Be aware that since April-May/ 2009 the minimum mid FICO® score is 620. Please do some research before you start with your home loan application, to make sure that you will fulfill that criterion before you embark in your journey in pursue of your dream home. If you apply too early you may shoot yourself in the foot. You would have more chances of being successful in home loan application. Identity theft is a rampant fact of life in this day an age. Be careful to give your personal info on line. You should be most vigilant in guarding your personal info, especially your social security number. At the same time the Internet brings you more and more opportunities to save money at each turn of the Earth. Please make sure to strike a balance between opportunity and safety and by all means do not become a victim. You should not throw the baby out with the bath water. Do make a safe home loan application and never let you guard down about your personal info. For more info on “identity theft," please read my articles on the “Credit Check” and “Credit Scores” pages. Whenever I see the point, I raise the awareness that I REALTOR® is multi prong resource that you should hire early on in the process of home buying. I am quite sure the professional that you are working with will have some home financing sources that he/she is familiar with and could be a good start to your home loan application. Another important item you need to work on before you put through your home loan application is your down payment money. Federal Housing Authority probably backs up the majority of loans now being made. Their guidelines dictate that your credit status, as well as the conditions of the property, (that can be a home or a condo) meet certain criteria. Those criteria being met, you would be able to buy your home with a down payment of as little as 3.5% of the purchase price. You may be required to pay mortgage insurance until such time that you pay off 20% of the purchase price. You’d better believe that it is still a sweet spot to be in. So as you are looking for a house and when you put through a home loan application, double check that you will be able to get a FHA loan. However you still have a shot of buying your home through a “conventional loan” where you would need to put down 20% of the purchase price. This is required when the buyer’s credit is not up to par for the value of the house or if the property itself does not meet FHA approval. This will be a huge savings for you on the monthly insurance premium FHA loans carry. Both these next two items (grants and DPA, below) are extremely important that they coordinate with the same loan officer that is processing your home loan application. Be aware that not all loan officers are familiar with this kind of assistance – you will need to find one that does! Many states, counties and municipalities have grants that will be distributed if the buyer and the property meet certain criteria. You will have to study each grant specific conditions carefully but, as a rule, this means, “free money” that will be applied towards the purchase price of the home. They are allocated every year, they are limited in dollar amount and they also may be limited to certain areas but definitely they are limited to people of certain level of income. By that I mean people of low to middle level of financial means. Please also read PDA below. Some Grants and DPA may be tailored to a certain segment of the population such firefighter and police officers. As I was gearing up to write this series of articles, a piece of news came on the radio that “Less than 20% of the Atlanta police force lives inside the city limits” and there will be an effort to bring those men and women to live in the city. They are already talking about a citywide effort to extend “rent subsidies” and “home buying grants” to the police force. It pays to research, to ask around and poke around the Internet. “Pennies from haven” are everywhere! $10,000s are available to assist first time home buyers in all fifty states – I positive that you will find at least one near your. Please learn more on my page “Home Grants” – please click here. During the period that you are making your home loan application, please do refrain yourself from making any other kind of credit application. Mistake. Big mistake! You are only “safe on base” but the home buying game is far from over – lenders are still paying attention on how you handle your credit. If you apply for any other major purchase, it can derail the purchase of your home – even if you already have been pre approved. As you can read on my “Credit Scores” page, “every move you make is being recorded” – every “credit” move, that is. It is a quick change of events that can derail your home buying dreams very quickly. So please refrain yourself to open a new account at all costs during the time you are working on your home loan application. If you feel that you must buy something, please wait till after you close on the house. It will be a better over all strategy. Nowadays, home lenders take a last peek on your credit in the final days before closing. Better yet, if you hold for a period of three months, your credit scores will be in the way some 75 to 100 points after your first mortgage payment start being reported. You then should get great rates on your purchase. If you read my article above, it is the same recommendation for your “old” accounts: You have to abstain from using them as well. At least when it comes to big items such as furniture, appliances and cars, I am not referring to the “normal use” of your credit card to pay for groceries, gasoline and the likes. As long as you maintain a level at or below 50% of your line of credit and pay it on time. Well, that triggered an “allergic reaction” on the lenders and they lower that initial loan amount to a little over $120,000. Lenders of all sorts are very sensitive to the volatile market we are in right now! Home lenders, for “a good reason,” are just more so. Please take a look on my page “Credit Scores” for more in depth info. Credit check is but one of the ten most important steps that will lead you to a successful purchase of your new home!